When daily action in most financial markets is so subdued, almost any signs of activity are noteworthy. Shifts in FX options prices, which suggest a future increase in currency volatility, are basically good news. Some investors are getting ready for choppier waters. 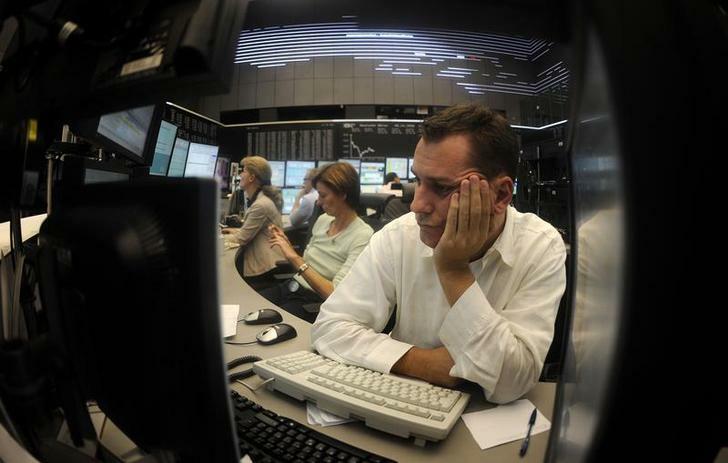 Share trader Thomas Holler reacts on share price development on the trading floor of the Frankfurt stock exchange. The difference between one-year and one-month implied volatilities rose as high as 2.2 percentage points in July for euro/dollar and sterling/dollar. That was the widest it has been since December 2012. Deutsche Bank’s July survey of investors showed the proportion citing geopolitical risks as an important driver of market uncertainty in the second half of 2014 rose to 30 percent from 3 percent in January. Thirty percent cited central bank policy, down from 41 percent in January.